Respiratory with fresh penetrating aromas. 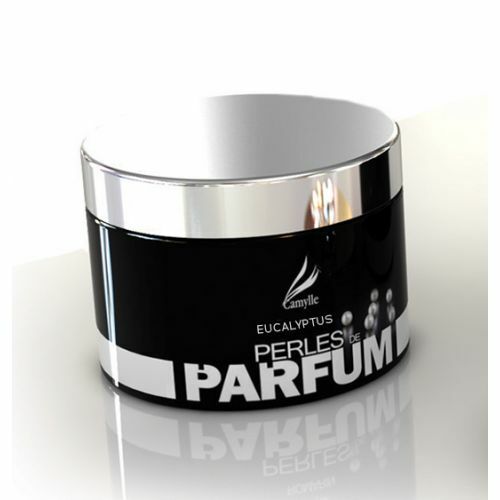 Essential oils of eucalyptus are no doubt the most commonly used in saunas and steam baths.The strong perfume of eucalyptus perfume gives an impression of ultimate freshness and vitality. 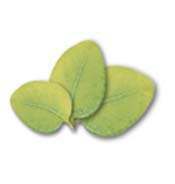 Particularly recommended for breathing diseases, eucalyptus clears the bronchial tubes.This plant is used in many pharmaceutical compositions for its anti-inflammatory and anti-infectious properties. BRUME de HAMMAM by CAMYLLE has now acquired an unrivalled reputation with professionals and creates an olfactory identity for the most prestigious thalassotherapy centres, spa treatment centres and hotel spas. It has a highly concentrated, milky base that is totally soluble in water and derived from an emulsion of 100% pure, natural essential oils. vUnsuitable products are often the root cause of breakdowns in the steam diffusion system. BRUME de HAMMAM offers you the certainty of a totally suitable product. The essential oils contained in the emulsion will express all their qualities and offer you all the benefits contained in the plants to give you an unforgettable steam bath. The steam bath has retained its secrets over time. What is it that attracts men and women to the special atmosphere of these places? The hot, dense, penetrating steam seems to go right through us, changing our view of the world around us. It alters the feeling we have about our own bodies. The steam bath has the surprising ability to make us think we have achieved total purity. The steam eliminates toxins and impurities from body and mind. Indeed, the great virtue of the steam bath is that it also works on the mind, giving the impression that, once you have got rid of your negative ideas and thoughts, they’ll never be able to find a way back to you through the mist that surrounds and protects you. When the essential oils in CAMYLLE BRUME DE HAMMAM enhance the steam, and the steam bath generator finely distils the bewitching perfume of plant essences, you have a feeling of well-being and cleanliness that you’ll find nowhere else. After your son steam bath comes a pleasant feeling of tiredness;the steam has cleanedyour skin deep down, your whole body has been cleansed and even your soul feels purer. Regulate the flow of the steam bath’s fragrance pump to suit your convenience. The ideal, in order to keep a constant remanence of the perfume, is to inject little quantities, but the most regularly possible. BRUME DE HAMMAM is perfectly water soluble and can be diluted.BRUME DE HAMMAM is recognized and approved by the most famous brands of steambathes. 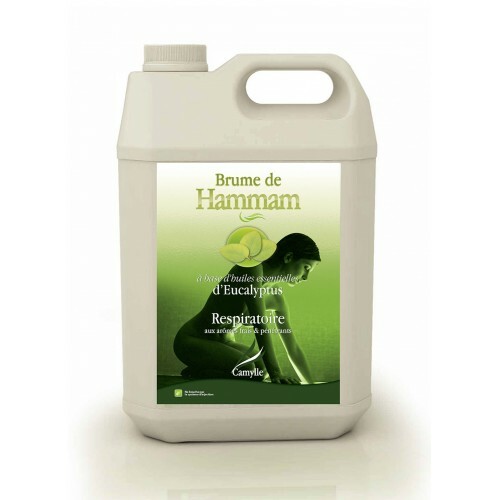 You will also find the range BRUME DE HAMMAM at many distributers: KLAFS - TYLO - HELO - VERRE ET QUARTZ - HARVIA etc. BRUME DE HAMMAM is also used for hammam and steam shower.